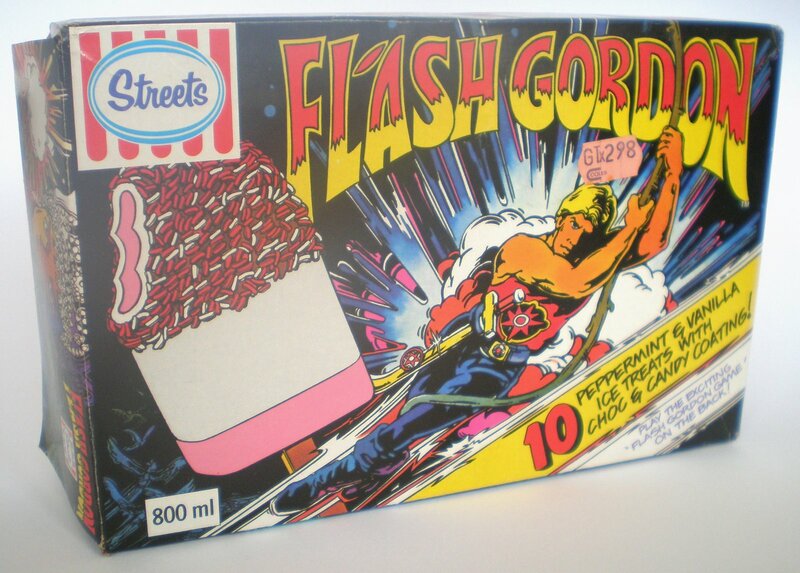 Last year I carried on a bit about the wonderful licensed ice-creams and icy poles we had in Australia in the late 70’s and early 80’s. It seemed for a time that any film or television show, character or concept that could be licensed as an ice-treat was, someties regardless of the suitability. I’ve been pulling together bits of information and obtaining examples of the boxes, wrappers, premiums and advertising for these over the last couple of years, and if all goes to plan (and when doesn’t it?!) 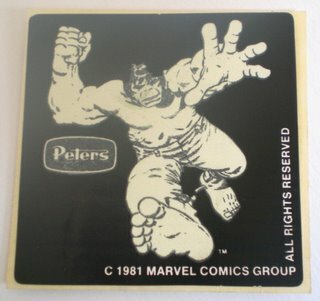 I will have a database availble on this site in the near future. While we’re waiting for that, I’ve whacked together another showcase of some of the more interesting stuff. I’ve cobbled today’s lot together under the broad church that is “Comic Heroes”. 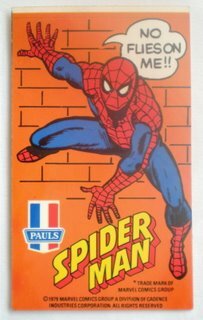 Nice tie-in with Spidey 3 ‘s release this week ehh? First up is my favourite, it’s the Paul’s Ice Cream tie-in to the hugely popular Buck Rogers TV Show from 1979 I’ve always loved that front panel graphic, but the killer for this item is the “Star Stick” promotion on the rear panel. 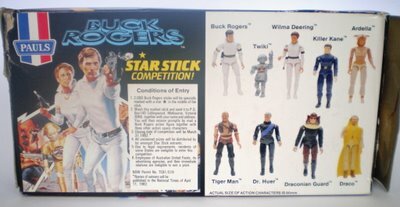 If you know me or have followed the blog for a while you’ll know I’m a bit of a Mego nut, so when I saw the back panel I knew I was on a winner. 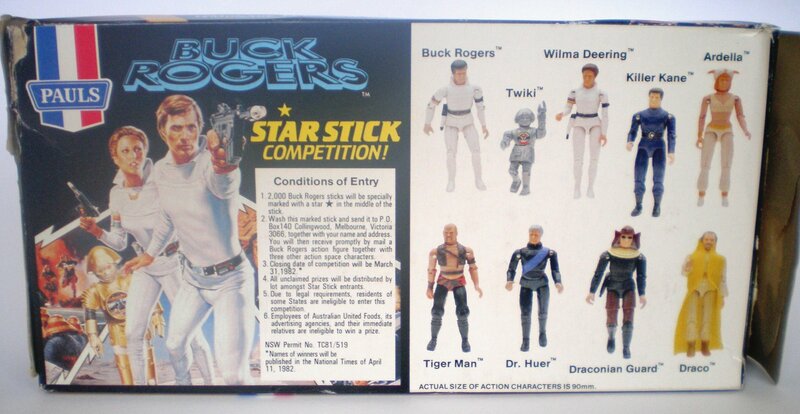 Although it isn’t mentioned on the box, the Buck Rogers action figures pictured there are Mego’s three and three-quarter inch line. The whole gang is there, and as you can see below, if you found a “Star Stick” you could send it in (after you’ve washed it mind you, I think they may have learnt that one from expereience) and you would be sent a Buck figure, plus three other random figures! 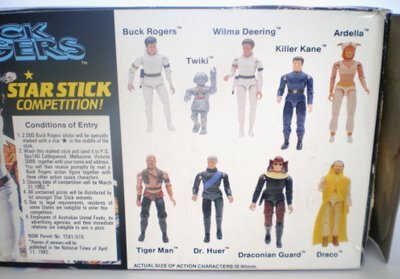 If seeing these Mego figures has re-awakened a collecting giant in you, make sure you visit the Mego Museum Forums for help. 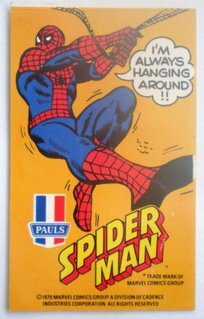 They’re like a support group, without the billable hours. If you liked Buck in ’79 chances are you loved Flash in ’80! 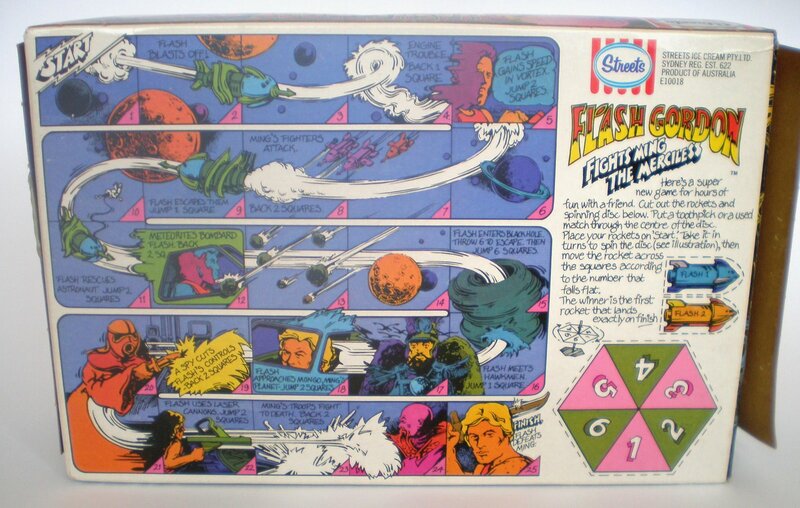 I challenge anyone to think of the Sam Jones incarnation of Flash and not follow it with “Ah Aaah… He’s a miracle!” This flick was more camp than a row of tents and didn’t we love it all the more for it! 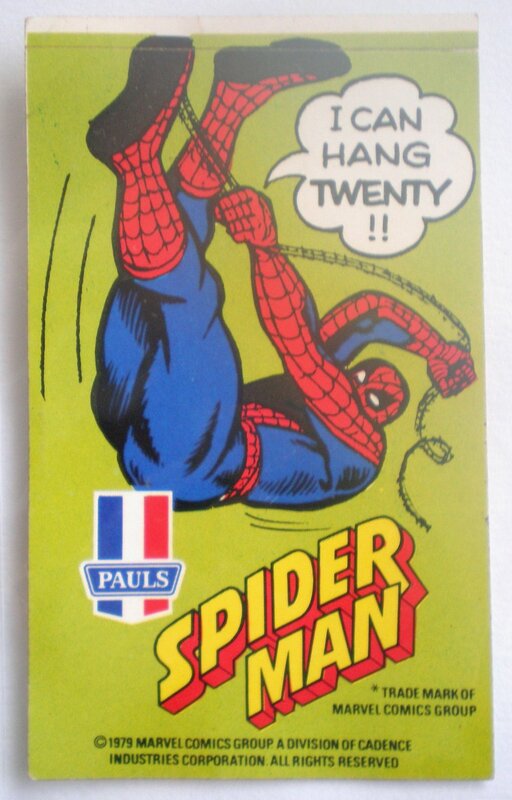 No premiums for this release I’m afraid, just a reasonably lame Snakes & Ladders cut-out game on the back panel. 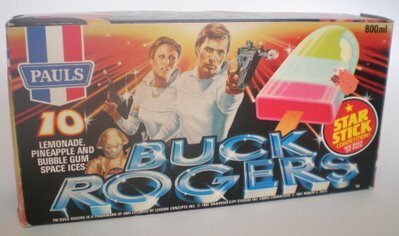 Lucky for me the kid that had this box thought it was lame too! The end panels are not too shabby though, Peter Wyngarde’s Klytus always freaked me out, and Melody Anderson’s Dale Arden looks great. 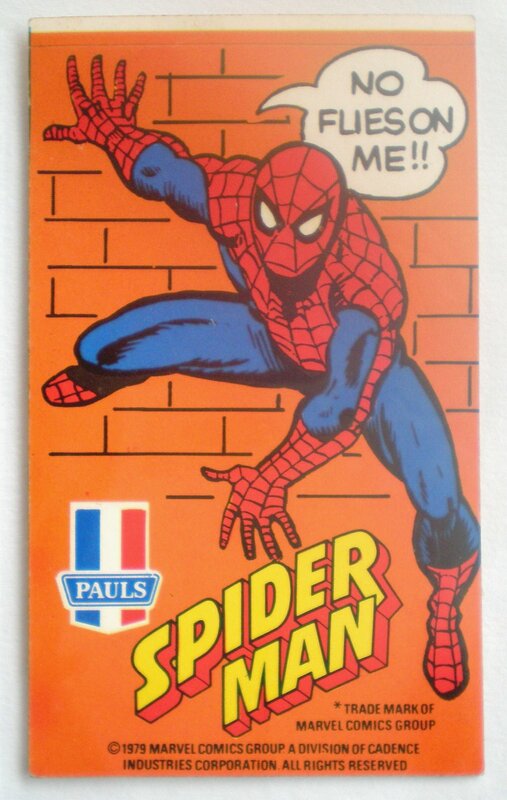 No Ornella Muti, but great none the less. 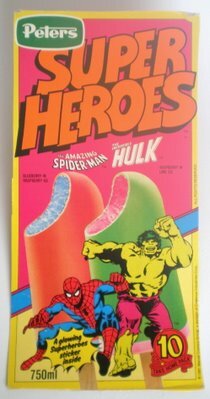 Coming in from the Marvel Universe were two guys who seemed destined for icy poles, Spidey and The Hulk. 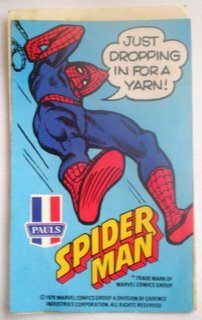 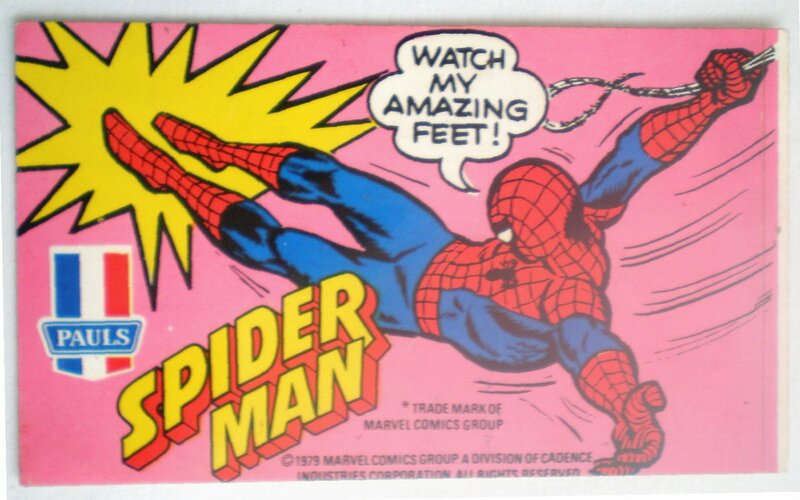 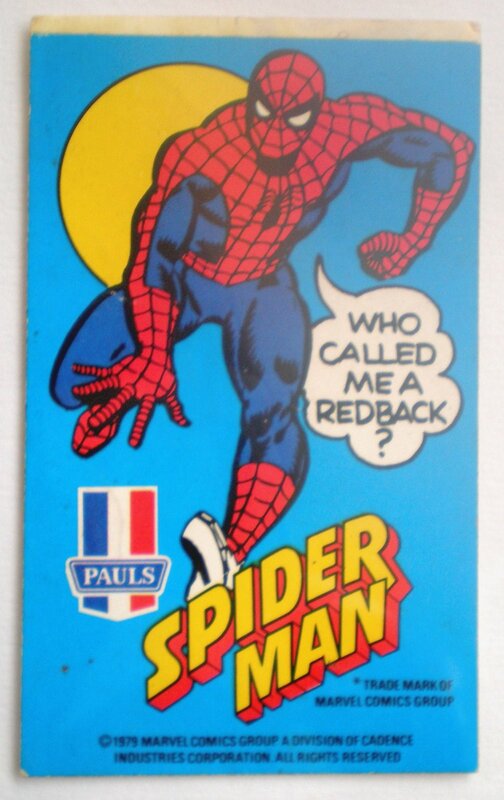 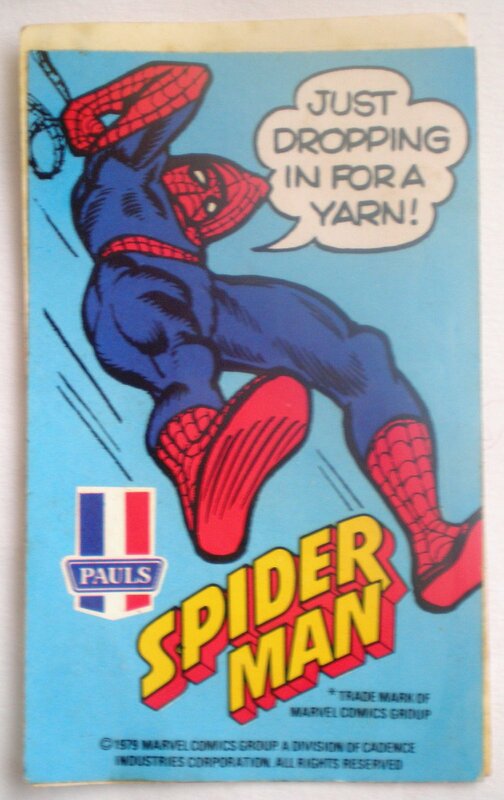 This treat was a relative late comer to the licensed party arriving in 1982, although Spidey had made an appearnace on his own back in’79 as you’ll see below. 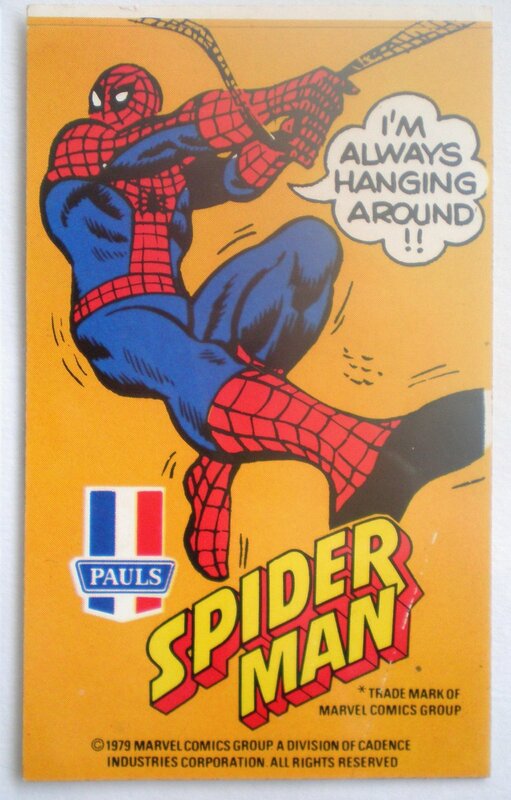 Finally today I bring you one of the coolest premiums from these Aussie ice cream days, Spiderman Stickers! 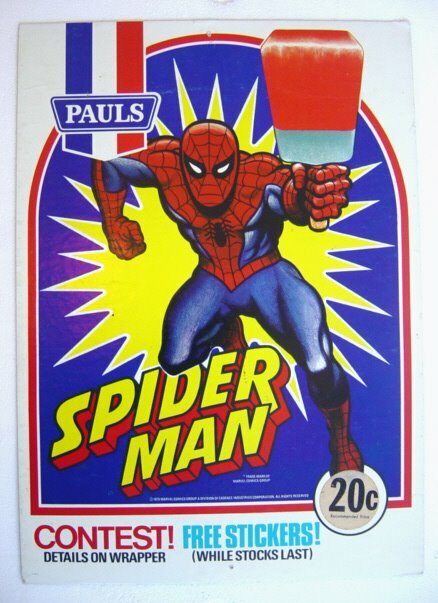 You’ll recall that last year I posted a pic of the store diplay for the ’79 Spidey ice-cream, see below. 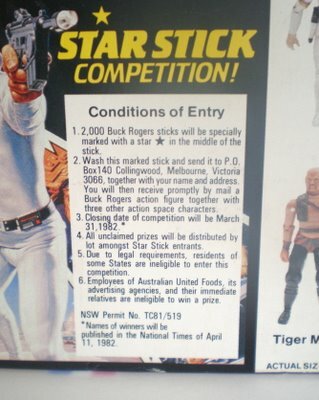 It mentions that “Free Stickers” were to be given away with each in-store purchase of icy-poles. 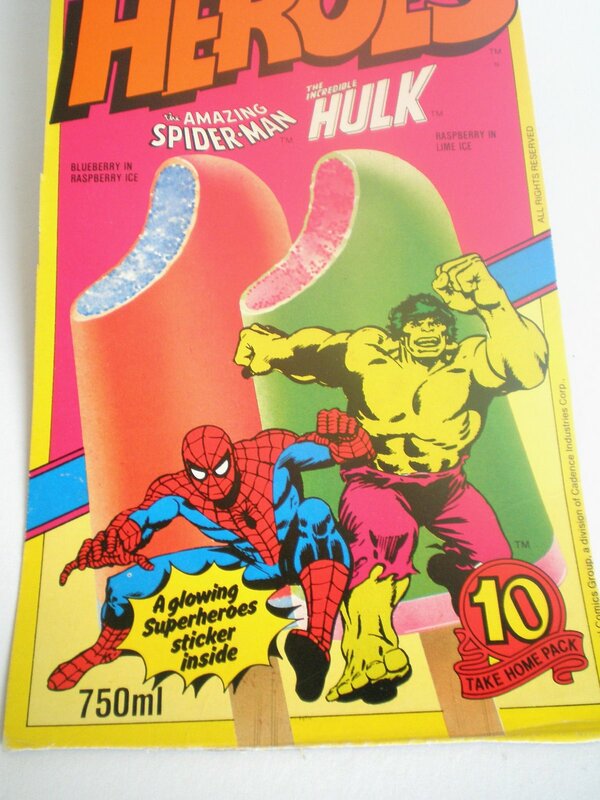 Clearly inspired by the wonderful Topps Marvel Superhero stickers from the mid 70’s, these icy pole ones feature sayings so bad they could only have come from the marketing department of of an ice-cream manufacturer! This isn’t the full set, if you know of any more I’d love to add them. Anyway that’s it for today, more ice cream stuff coming sooooon.